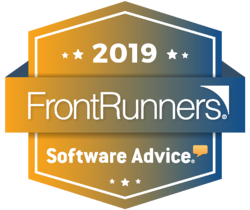 InSync is honored to be named one of Software Advice's 2019 FrontRunners in the EMR Market! FrontRunners is designed to help small businesses evaluate which software products may be right for them. Published on Software Advice - the leading online service for businesses navigating the software selection process - FrontRunners evaluates verified end-user reviews and product data, positioning the top scoring products based on usability and user recommendations for small businesses. There are two types of vendors included in the FrontRunner rankings: Small Vendors and Enterprise Vendors. Due to InSync's number of employees, it falls in the Enterprise category. According to reviewers, InSync has a User Recommended score of 4.6 out of 5.1, and a Usability score of 4.8 out of 5.1. 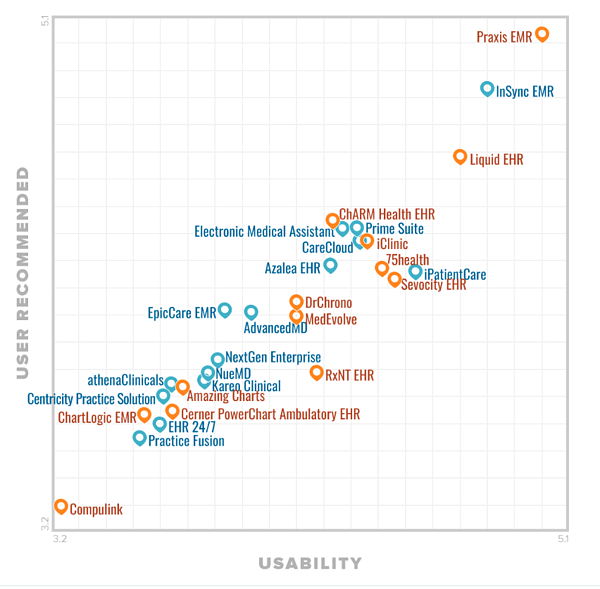 Of all Enterprise Vendors scored, InSync led the pack by a noticeable margin. A more in-depth explanation of the quadrant and FrontRunners qualifications can be viewed here. FrontRunners constitute the subjective opinions of individual end-user reviews, ratings and data applied against a documented methodology; they neither represent the views of, nor constitute an endorsement by, Software Advice or its affiliates.